We personalize each student's education according to their individual needs and abilities. All resources in the school are carefully designed and organized around the student in a complete and coherent system – the KED Program. The key to personalized learning, where the teacher helps the student to set goals and develop successful learning strategies for all schoolwork. What do you want to achieve in school? What do you need to learn? In the KED Program, all school work is driven by the student’s personal goals decided together with his or her personal coach and documented in writing. What will it take – from you, your family and your school – to reach your goals? In the KED Program, every student has a working plan, starting with short-term goals for the week to come, medium-term goals for the semester and long-term goals for the school year and beyond. 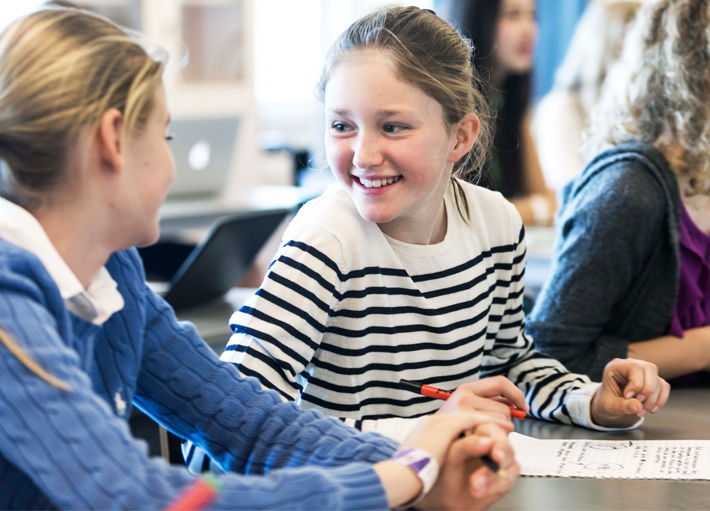 In the KED Program, the teacher has four major roles: being a personal coach to support each student’s progress, a subject teacher who is an expert in a certain subject, a general teacher who provides support to all students in the school, and a team member in the local and global networks of teachers in the KED Network. the professional development of teachers is a major focus of the KED Program. The KED Program provides all material for teaching and learning on a web-based portal. The Learning Portal contains the curricula, work paths, exercises, texts and other resources for all steps and theme courses. As a result, access to learning is not limited by school hours and school buildings, and we can ensure that students’ needs are met. The Portal provides the opportunity to find the right content and study schedule based on every student’s needs and abilities. Subjects are studied in steps or as part of a theme course. Step subjects are usually languages and mathematics. These subjects are structured as a ladder. Each new step adds a level of difficulty and has clear goals and knowledge criteria. It allows students to study at their own pace and thoroughly learn a concept before they proceed to the next step. In themes, several subjects are coordinated with each other to show students the context of a phenomenon, and give them the ability to see context and patterns. For example, a theme course called “A Star” covers history, religion, food technology, geography, art, drama, music and dance. In history, students study the qualities of people who earned star status during different historical periods. In religion, they learn about stars and symbols among believers. In food technology, students familiarize themselves with star chefs, and so on. In this way, subjects in school appear as they are connected in real life. Time is a resource for learning – perhaps the most limited resource. In the KED Program, we make sure that the use of time is tuned to the student’s individual learning profile, without being restricted by the traditional collective timetable. 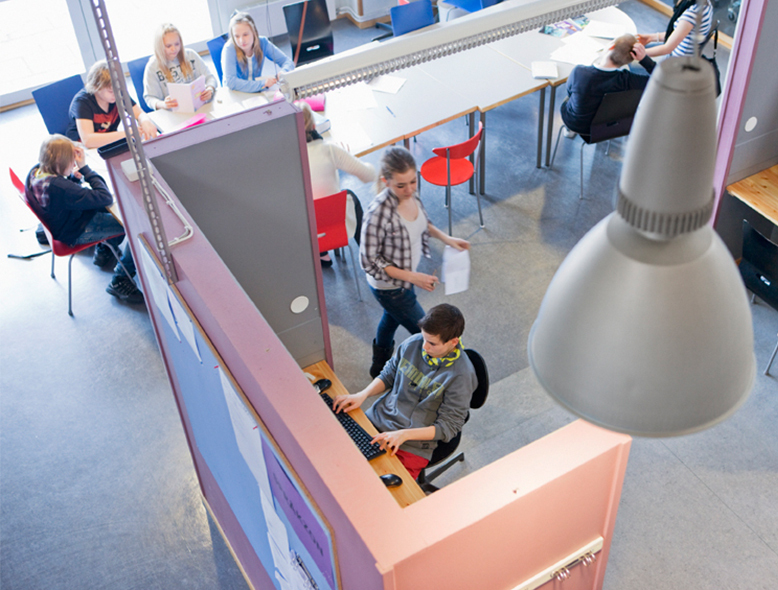 The environment in which students learn is key to the Kunskapsskolan model of education. The purpose of architecture is to create the optimal environment for learning, through purpose-designed and multi-functional facilities for lectures, group sessions and individual studies. The use of top-level information and communication technology supports our capacity to personalize teaching and learning in the KED Program. Schools in the KED Program aim for outstanding academic performance, coupled with the highest levels of teacher, student and parent satisfaction, along with solid finances. Strong local leadership is further strengthened by our global system for collaboration and exchange of best practice. KED schools promote continuous professional development to secure the highest level of teacher quality and satisfaction. We personalize each student’s education according to their individual needs and abilities. All resources in the school are carefully designed and organized around the student in a complete and coherent system – the KED Program. 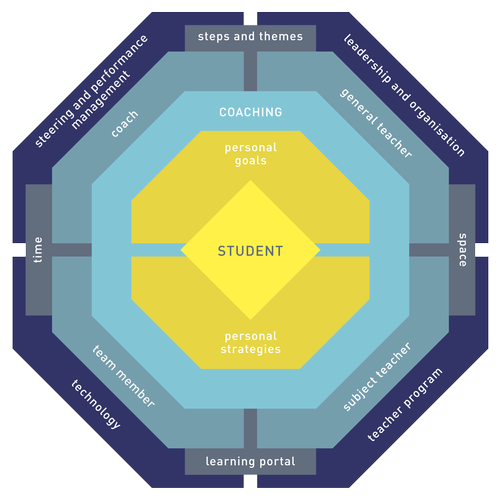 Together with his or her personal coach, the student sets personal goals for all subjects. Equally important, the student and coach find strategies to reach the goals based on the student’s ability and way of learning. As subject experts and coaches, the teachers in the KED Program support the students in every step to develop their knowledge and skills. The material that we work with, the infrastructure, organization, technology and other facilities support the personalized learning process. As the world is changing – education needs to change too. The coming generations must be prepared for a world that is in constant development, and be able to adapt to an unpredictable job market. 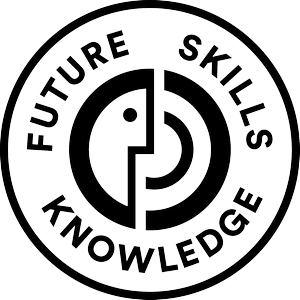 The KED Program gives students the knowledge, as well as the skills to communicate, to think critically and to work in teams that will be required in the future. See what a typical personal coaching session in the KED Program looks like. Come and see how a typical KED school is designed. The KED Program makes sure that parents know what is happening at school. Enjoy a brief summary of how all the bits and pieces of the KED Program fit together.